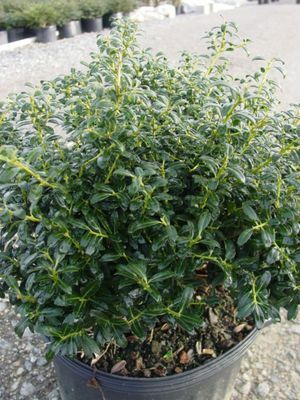 Soft Touch is a dense, compact selection with lustrous dark green leaves with a silver midvein. Flexible branches and soft foliage helped to give it's name. This is a great sub for Helleri, and is becoming very popular.